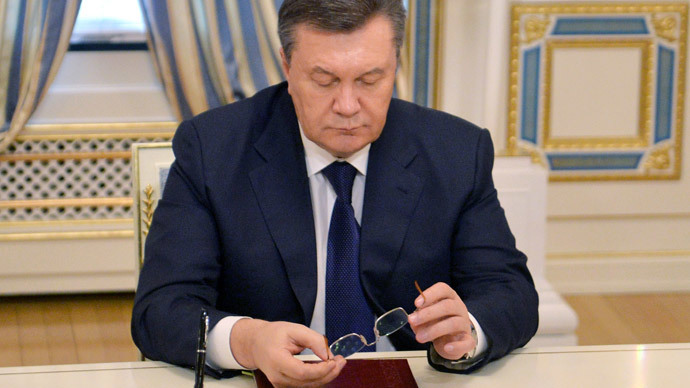 Ousted Ukrainian President Viktor Yanukovich pledges to fight for Ukraine. He addressed a press conference in southern Russia, appearing in public for the first time since he fled Kiev amid bloody riots. Dozens of international reporters have flocked to the southern Russian city of Rostov-on-Don after the fugitive Ukrainian president announced he would hold a press conference there. 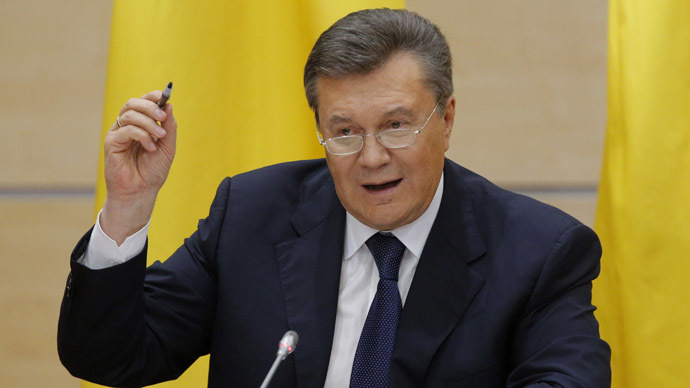 Before anyone was allowed to ask questions, Yanukovich decided to set the record straight, saying he considers himself the only legitimate president of Ukraine. “As you know, the power in Ukraine has been seized by nationalist fascist-like fellows representing the absolute minority of Ukrainians. The only existing way out of the situation is fulfilling all that was stipulated in the [February 21] agreement between the president of Ukraine and the opposition with participation of the foreign ministers of France, Germany and Poland, and a representative of the Russian Federation,” Yanukovich said. He described the situation in Ukraine as “complete lawlessness,”“terror” and “chaos”, saying that the politicians, including MPs, have been threatened and are facing threats of violence. It has nothing to do with the unity government that was negotiated with the opposition, he added. 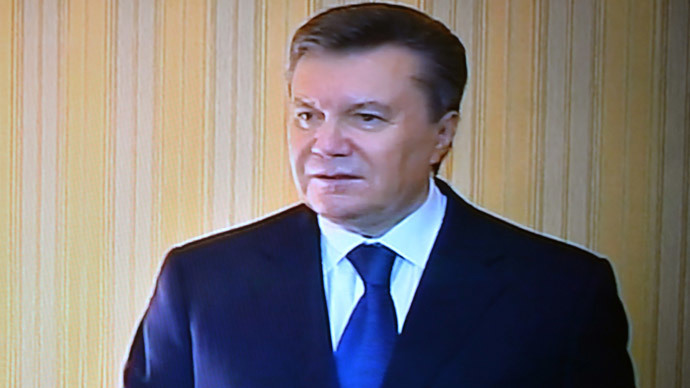 According to Yanukovich, the early Ukrainian elections announced for May 25 are also completely “illegitimate” and he will not take part in them. Yanukovich left Ukraine’s capital Kiev amid the worst surge of violence in the country’s post-Soviet history, which left dozens of people dead and hundreds injured. 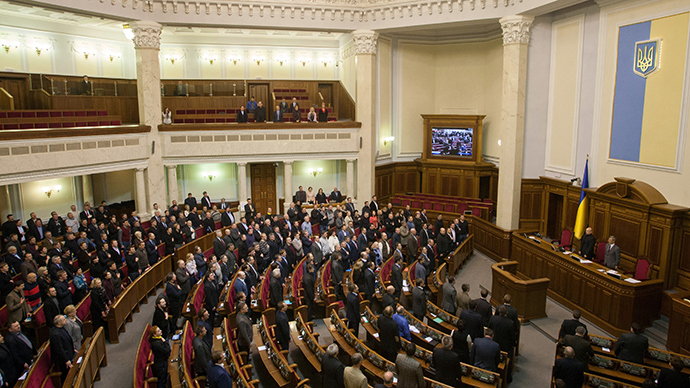 The pro-Maidan opposition immediately capitalized on his absence from the city, dominating the parliament, which then voted to strip the president of his powers and announced early elections. It also placed the full blame for the tragic events in central Kiev on Yanukovich, making it a nearly indisputable allegation in local and Western media. 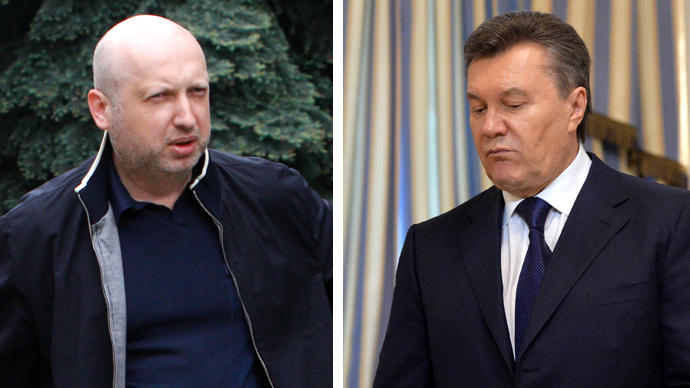 Yanukovich gave his own clear assessment of the events for the first time in weeks, drawing a very different picture. The violence and deaths in Ukraine are the “result of the irresponsible politics of the West, which has encouraged Maidan,” Yanukovich said. US and other Western countries’ representatives “must take full responsibility” for the fact that the agreement between the president and the opposition leaders was not honored, he said. 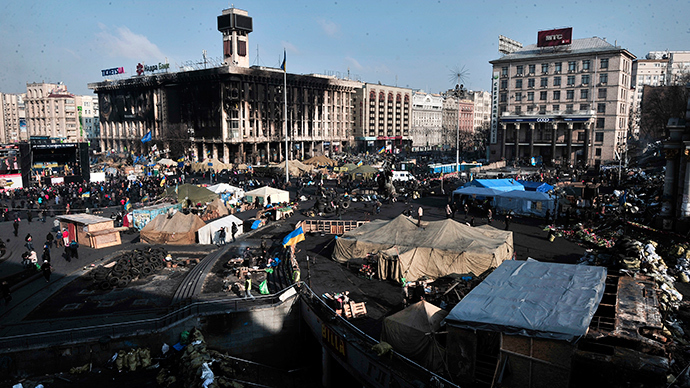 There remains, however, a chance for the country to change its course and not to slip into chaos, Yanukovich said. When asked if he feels ashamed of any of his own actions, Yanukovich replied that he feels both ashamed and sorry for “not having been able to stabilize the situations and stop the mayhem” in Ukraine. “I want to apologize to the Ukrainian people for what has happened in Ukraine and that I lacked strength to maintain stability,” he said. Yanukovich also apologized to the Ukrainian riot police, Berkut, for having to “suffer” while doing their duty of maintaining peace and order. Police officers were “burned and poured over by petrol bombs,” were “fired at and killed by rifles” but still stood their ground, he said. The Ukrainian leader then said he had not given any order for police to fire live rounds until the rioters started using firearms, putting the officers’ lives under threat. Even as Yanukovich was speaking, the situation in Ukraine’s Russian-speaking Autonomous Republic of Crimea was increasingly getting out of the capital’s control. The Crimean parliament was forming a new regional government while local "self-defense squads" started actively patrolling strategic sites to prevent provocations from Ukrainian radical groups. However, he then urged the people of Crimea not to let any bloodshed or civil war happen. Crimea must remain a part of Ukraine while maintaining broad autonomy, Yanukovich said. The fugitive president ruled out any possibility that he will ask Russia for military help to resolve the situation there. Also, there is no confirmed information about Russia’s alleged military presence in the region, Yanukovich said. “I do not have any such official information,” he said. “I did not have it back then [in Ukraine], and there isn’t any now. This all has been on the level of some rumors spread by somebody,” he told journalists. Yanukovich made it to Russia from Crimea thanks to “patriotically-minded officers,” who helped to “save his life.” He has not yet met with Russian President Vladimir Putin, but they have already talked over the phone. Yanukovich received a lot of questions on Russia’s role and possible actions in the Ukrainian crisis. “The truth will prevail,” Yanukovich said in an emotional conclusion to his comments to journalists, urging the politicians that have seized power in Kiev to “leave” for the sake of the Ukrainian people.